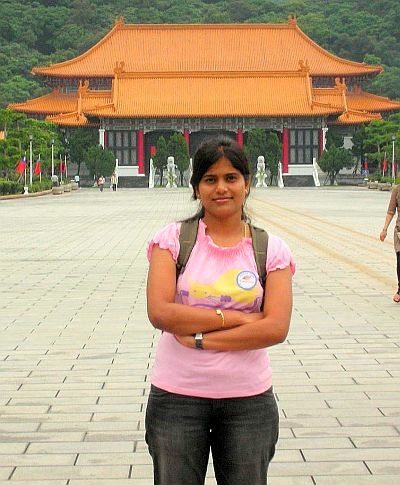 Prathibha : I am a foodie and that’s possibly the key driver for my association with the food blogging world. As a child too, I used to watch cooking shows and religiously note down recipes – and the compilations has been carefully preserved. I infact, still refer to those notes for idea generation. My love for food in real life even triggered me to play the game called ‘Cafe World’ in Facebook, where I used to cook for unknown animated visitors to the cafe J. I thoroughly enjoyed the game, as one can change the layouts and add new decorations to the cafe by earning more cafe points. We, a bunch of food bloggers even competed to reach the levels faster and it was really fun to play that game. The first of the sites that I used to refer during my college days was a website called, SitaGita.com for my occasional special cooking. Post marriage, I started learning new recipes from my friends, mom, MIL and then got hooked on to cooking as a hobby – and in order to further strengthen the base of recipes that I had , I used to surf sites and was amazed to see the ocean of recipes in blogosphere. My hubby tells me that if only my MIL had access to internet, he would have been spared the nightmares of experimental cooking that the output that he got fed on at times! That’s possibly another trigger – ensure that what I know and I have learnt, I share with others, so that my experiments could benefit others. With regards to what blogs inspired me in the recent times- one of the initial sites I used to visit often was, aayisrecipes.com and then slowly by hopping through various blogs, I ended up on seema’s recipe junction, which is unfortunately now a private blog. EC: How do you think blogging has changed your life ? Prathibha : Blogging has added colour to my life and I think our generation is lucky to have been provided with such a powerful tool to reach out to millions of individuals globally. My MIL used to tell me how difficult it was for her to learn cooking and get hold of various recipes and it was always more of learning through talking to others – which always is a tedious and long process. I think more than changing my life – It gave me an opportunity to experiment with cooking various kind of foodstuffs – and yes sometimes my hubby gets frustrated when some of the experiments fail and he becomes one of the victims of the food to be that has to eaten. While on a serious note , I think its fun blogging and I enjoy it to the fullest. EC: You have tried various cuisines -regional as well as international..which is the simplest according to you and which is your personal favourite ? Prathibha : I have explored several international cuisines stemming from as far as Italy to China, Egypt, Mexico, Spain etc but I think regional cuisine is the simplest . I am yet to try more of international cuisines but the variety of vegetarian food is more in India, in my view. I prefer a simple south Indian meal which consists of curry,sambar and rasam with rice anytime for lunch and especially I crave for them after a long holiday. Prathibha: All the baking related recipes that I have posted on the blog are actually for newbie’s as I myself am new to baking . I think the biggest thing that one should look for is get access to good yeast to make good bread and also follow the precise measurements for baking cakes,cookies and breads. I get few ingredients from HK or Singapore as I find it difficult to procure them in Mumbai. EC: What are you recipe sources and do you cook specifically for the blog ? Prathibha: There are many recipes which are my personal favourites and are even posted in my blog. My personal favorite is a food called “shastralu-freshly pressed string hoppers with panaka and the lemon variety of its”-which is our community special and it is still not in my blog, as the best is reserved for the last.As I do not have the instrument to make them, I indulge on them when I go to my Mom’s place. I will try to take the photographs next time I visit my mom’s place and will even post the recipe. Some of the other foods which I like are Billakudumulu/Rice Rava Tikkis-again our community special, Pav Bhaji, Golgappe-my all time favorite, Rava Idli-Potato sagu, Rava Dosa, Mysore Masala Dosa. 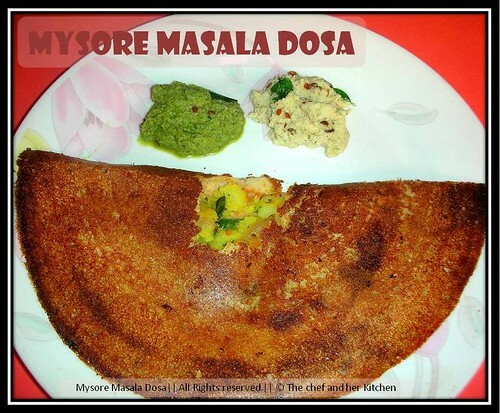 As EC has asked me to share one, I have given the link of Mysore Masala Dosa which has got the highest reviews and many complements. lovely knowing about Pratibha...really inspiring and loads of best wishes ! Enjoy reading the interview and glad to know more about the most talented blogger buddy Prathibha,her blog rocks..
Good to know more about your Prathibha. Thanks to EC. glad to know more about Prathibha nice readup EC and best of luck prathibha. Nice interview and good to know about Prathibha. Glad to know about you prathibha...Best wishes! !